Happy birthday to me! Today I am forty-four and to celebrate I'm giving away some copies of my book. A bunch of copies, to bless you or (if you've bought one already) a friend. The story was originally written as a gift for my children in Christmas 2011. The idea came to me as I was pondering how baby Jesus’ arrival on Earth was not at all what any of us humans (in all our wisdom) would have chosen if we wanted to change the world. The whole thing really was completely unexpected. The story just came to me all of a sudden, as I imagined the angels in heaven being shocked at God's crazy ideas and one (small but clever) angel saying "Brilliant! They won't be expecting that!" 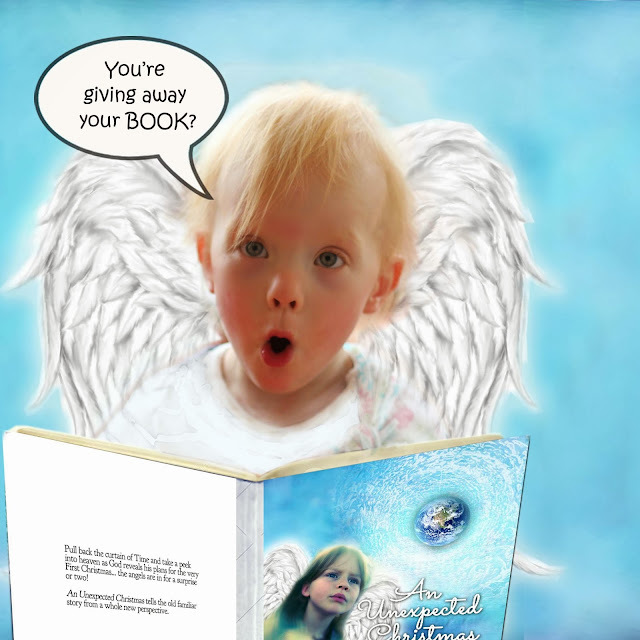 I sat and wrote it down in twenty minutes flat then illustrated it with photos of my kids (turning them into the angels); I printed it and gave it to them on Christmas Eve. Friends I showed my homemade book to suggested I try to publish it, which I did (self published through Blurb) for the first time last year. In Christmas 2012 I also submitted my story in script form to the creative geniuses at St Pauls in Auckland, who create "Glow - Carols by Glowstick". Each year they create a film for the event and then share it with the world on YouTube - They chose my script and made it into a gorgeous little five-minute movie. After its release, An Unexpected Christmas quickly gained popularity, getting around 200,000 views in the three weeks leading up to Christmas. (We hope that this year it might go completely viral). This year I've managed to find a way to make the book available on Amazon and Kindle. 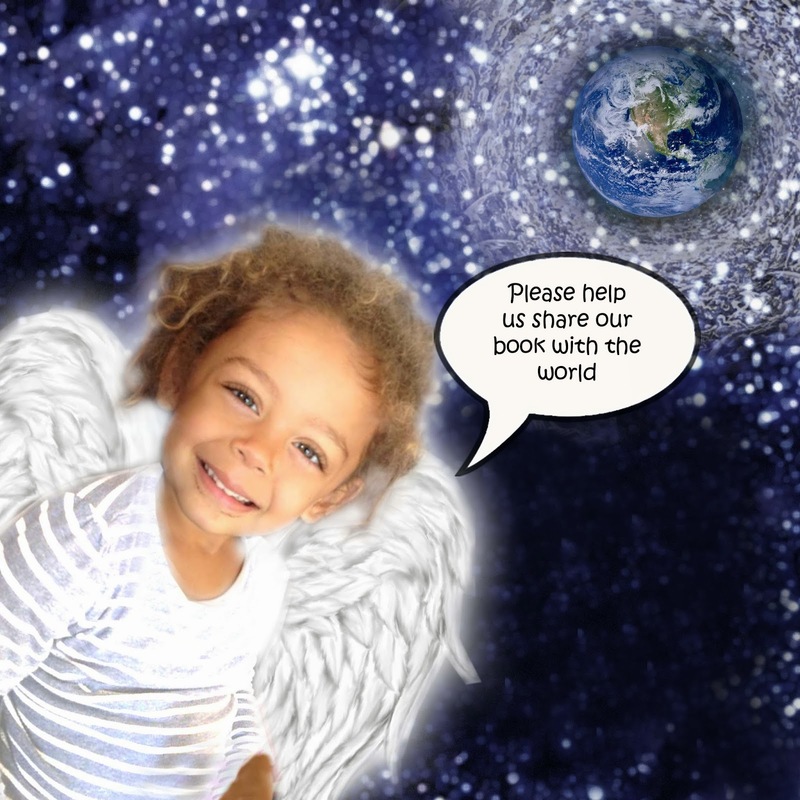 I have refined the design and added other “angels” - gorgeous little ones borrowed from friends and family. They represent the children of the world, with roots in the continents of Africa, Asia and Europe, as well as my own angels from Downunder. The story still gives me goosebumps. I think you will like it too. Now that I've worked so hard to get my book onto Amazon and Kindle I need to let the world to know about it. Which is why I'm holding this giveaway, in an attempt to entice you to share the book with your friends and followers. Some of you wonderful people may have bought the book already. That's OK. You can pass the prize onto a friend if you win and I'll send them the book as a Christmas prezzy from you. I'll even giftwrap it. One to be won in the US or UK - sent direct from Amazon. Winners will be announced here on the blog next week on November 25th and will also be notified by email.